Now that spring has officially sprung, we are all stuck with the eyesore of our yards. Winter can definitely wreak havoc on our trees and our bushes. Spring is the time when we tend to focus our free time on nursing our yards back to health. Whether it’s yard decorations or planting flowers that tops our list of this we enjoy doing outside, there is always one thing we dread (or at least I do), trimming the trees and bushes. Like it or not, it is one of those necessities that have to be done. 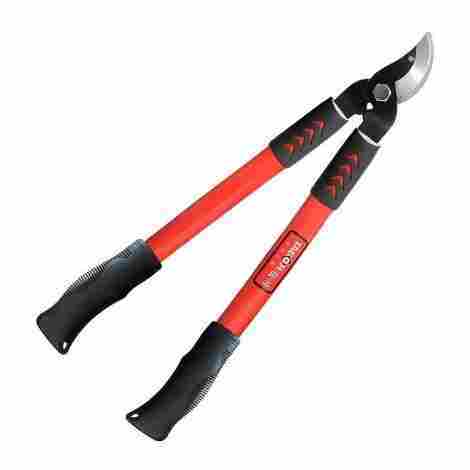 When it comes to trimming those unruly bushes and tree branches, there is nothing quite as important as the right pair of garden loppers. Shopping for the perfect pair of loppers can seem a but overwhelm with all of the different options out there. It is important to keep in mind the type of yard work you are doing, the size of the branches and bushes, and the overall weight and size of the loppers. Below I have included a list of the 10 best loppers that cover all of the different points listed above. The Fiskars 32” PowerGear Bypass Lopper is a unique lopper because it allows for different leverages, so you can get up to triple the cutting power with each cut. This means you can cut through the thickest of branches without the struggle or having to worry about needing multiple tools to get the job done. 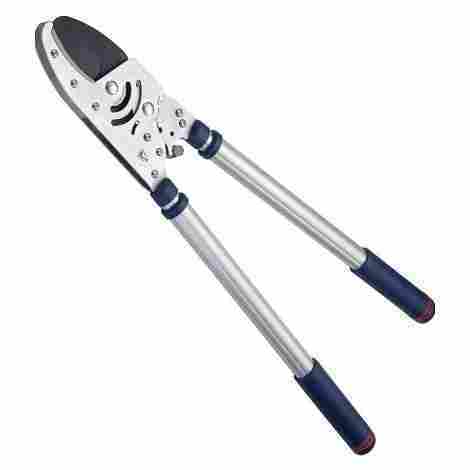 This lopper also comes with a lifetime warranty, so you know that you are getting a great tool. 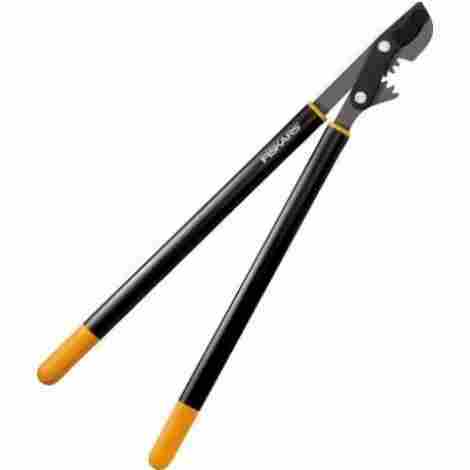 The Fiskars Lopper was designed for larger branches. It is 2” in diameter, which makes cutting through thick branches a breeze. The secret behind this lopper is in the design of the gears. Instead of having the maximum cutting power at the front of the blade, this lopper is specially designed to have the ultimate power in the middle, which happens to be where most other loppers get caught up on the branches. 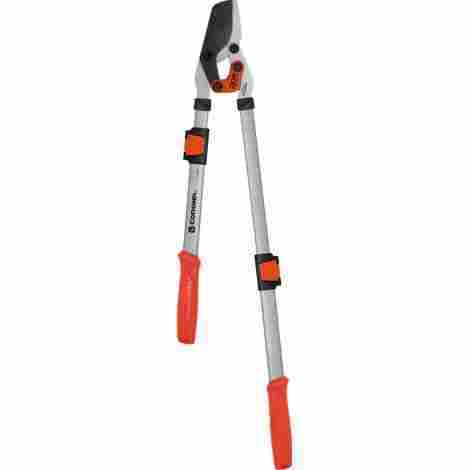 This lopper has PowerGear technology that gives you triple the cutting power. With this unique design, you are able to reach branches at multiple angles and thickness with one tool. This means that you will spend less time fighting with those stubborn branches and more time enjoying the scenery of your freshly groomed yard. When compared to other loppers on this list, the Fiskars Lopper falls into the average range. Given its top-notch technology, 2” diameter, unique design, and lifetime warranty, you really can’t go wrong with this choice. 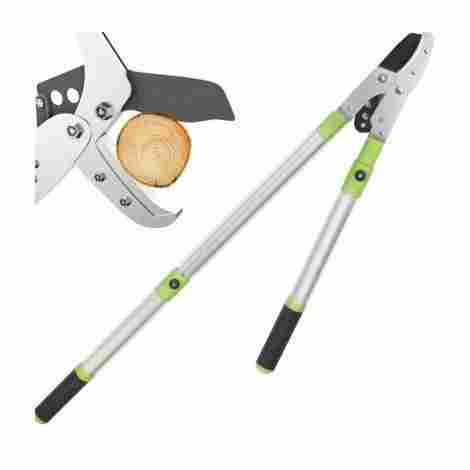 The Anvil Razor-Edge Pruning Lopper is one-of-a-kind. It was designed with ease and convenience in mind. From its heavy duty blade to its extendable handle, this tool is a must-have gardening essential. It is also backed by a 100% satisfaction guaranteed, so you know that you are getting a great product. The Anvil Pruning Lopper was designed with a steel blade that has been fully heated 3 times to help ensure stability and durability of the blade. The blade is also coated with Teflon, which helps aid against corrosion and makes it easy to clean. 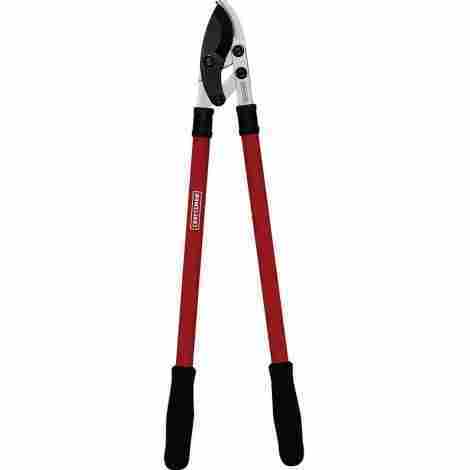 This lopper has a telescopic handle that extends anywhere from 27” to 40”. This allows for maximum efficiency and cutting ability. The best news about this is that the lopper does not lose its force or ability to cut when the extensions are in place, so you can reach those higher branches with ease and still be able to cut with maximum strength. In comparison to the other loppers on this list, this falls right in the middle with pricing. If you are looking for a quality lopper that won’t break the bank, this is the one for you. With all of its amenities, overall quality, and 100% satisfaction guarantee, you really can’t go wrong with this choice. The Tabor Tools Mini Lopper may be small in size, but don’t let that fool you. Its small nature allows you to get into those tight spaces that other loppers can’t reach. It is also designed to make accurate cuts, which means that you will have your yard looking great in no time at all. This lopper also comes with a 100% satisfaction guarantee, so you don’t have to worry about wasting your money. This lopper comes with rubber grips on both handles, so you can cut with ease without having to worry about your hands slipping or getting those dreaded blisters on your hands. The handles are also ergonomic, which helps with the overall grip and comfort. With this technology, you are sure to get your yard done with both comfort and ease. The Taber Tools Mini Lopper also comes with a carbon steel blade, which stays sharp, even after multiple uses. The blade can also be re-sharpened, which means that this lopper can last for years to come without having to worry about replacing the blade. 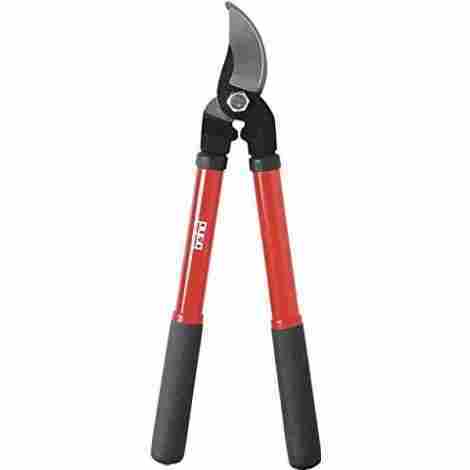 Compared to other loppers on this list, this is one of the less expensive ones. Given the sharp, durable blade, the comfort grip handles, and the 100% customer satisfaction guarantee, this lopper is the perfect choice that won’t put a dent in your wallet. The Corona Extendable DualLink Lopper is a gardening must-have. It has extendable handles and durable steel blades, which makes tackling those hard to reach or stubborn branches a walk in the park. This gardening tool was designed with efficiency and accessibility in mind. This lopper is equipped with extendable handles that reach anywhere from 27 ½ inches to 37 ½ inches. This means you can get to those hard to reach places with one tool, which saves time and energy. The handles are also equipped with ComfortGel, which helps with the overall grip and comfort so you can have better control when cutting. This lopper comes with a unique, two-zone blade design that is made for both large and small branches. It can cut up to 1 ¾ “ width, so bigger branches are no match Cfor this blade. This technology also makes it so you are making precise and even cuts, so you get more done in a shorter period of time. In comparison to the other loppers on this list, the Corona Lopper lands in the middle as far as pricing is concerned. With its unique blade design and extendable handles, purchasing this lopper would definitely be money well spent. The Black and Decker Cordless Lopper was designed with maximum efficiency in mind. It comes with a rechargeable lithium battery that can withstand roughly 150 cuts per charge when cutting branches 1 ½” in diameter or less. This tool is a real time saver and comes with a 2-year limited warranty, so you really can’t go wrong with this choice. This Black and Decker lopper puts others to shame. 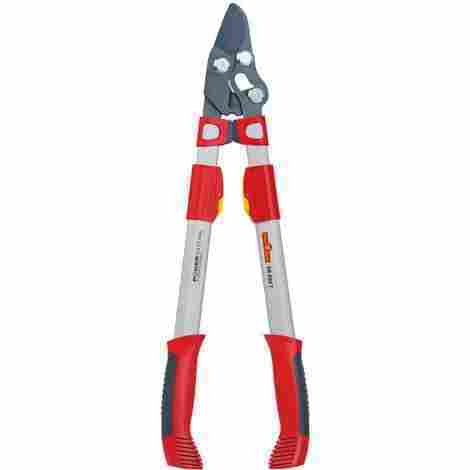 Its unique jaws were designed to clamp and cut branches with ease and accuracy for a more controlled cut. It is also designed to cut branches that are 4 inches in diameter, which is ideal for those larger tree branches that tend to slow you down. 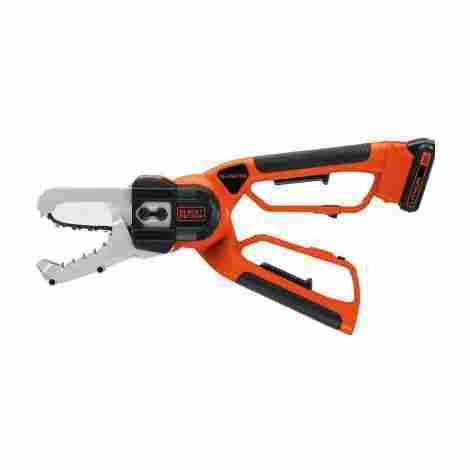 This lopper comes with a rechargeable 20-volt lithium battery. This battery was designed for a longer lifespan, so you can rest assured that you will have this lopper for years to come. This lopper is the most expensive one on this list, but you have to keep in mind what you are paying for. This battery operated lopper does twice the work in half the time, which means you are saving yourself a lot of time when you use this tool. With a 2-year limited warranty included, it is definitely money well spent. This lopper has a blade that is made from a solid carbon steel, which makes this an extra sharp blade. This blade design allows you to cut through those stubborn, thick branches with ease and stays sharper longer, so you don’t have to worry about constantly replacing the blades. This lopper was designed with ease and comfort in mind. It was built with telescopic handles made from aluminum, which makes this a light, but the strong tool. 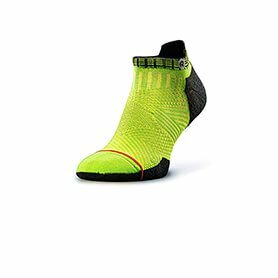 It is also equipped with hand grips that are soft and won’t slip for maximum control and comfort. When comparing prices to the other loppers on this list, this one falls in the average range. When considering all this lopper has to offer along with the 10-year guarantee, I would have to say that it is money well spent. The WOLF-Garten Lopper is made from a strong steel for ultimate cutting power. It was designed with a unique dual pivot technology that allows for maximum cutting and efficiency. Don’t let the strength of this lopper fool you because it is a lightweight tool that weighs less than 4 lbs. This lopper is made from a unique German steel that allows for up to 4 times the cutting power. With that kind of power and the ability to cut up to nearly 2” in diameter, those stubborn branches are no match for this powerful tool. 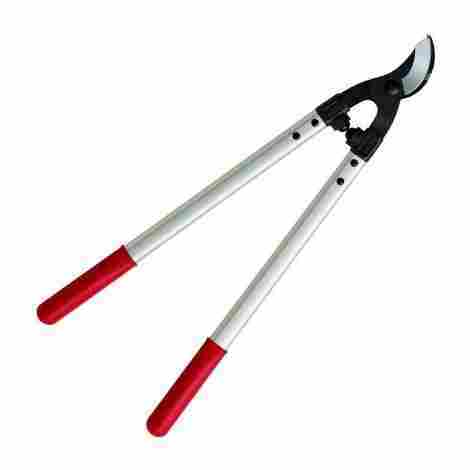 This lopper is also equipped with telescopic handles that reach anywhere from 25.6 inches to 35.5 inches. This is the perfect tool for those hard to reach branches. Since the handles are made of aluminum, this lopper is also lightweight so your arms won’t get sore and tired after 5 minutes. If you are looking for a durable lopper that is both strong and efficient, then this is the one for you. Compared to the other loppers on this list, this leans more on the expensive side, but don’t let the price get you down. Between the unique German steel blade and telescopic handles, this tool is truly a must-have. The Bond Mini Bypass Lopper is an essential gardening tool. Its strong steel blades cut with the utmost precision, which makes yard work hassle free and efficient. It is only a 15” bypass lopper, which makes it perfect for small areas. With a 5 year guarantee on this product, it is worth every penny. This lopper is made with steel blades from high carbon, which makes for stronger blades and precise cuts. The blades are also treated with heat which helps the blades stay strong and sharp for a longer period of time. The Bond Mini Bypass Lopper is small in size, so it works perfectly in those tight, tough to reach places that bigger loppers can’t fit into. Even though this is a smaller lopper, it can still cut up to 1 ½” in diameter, so don’t let its size fool you. When compared to the other loppers on this list, this is the least expensive one. Don’t let the price trick you into thinking that this is a cheap, poorly functioning tool because it’s not. With its uniquely designed blades and its 5-year guarantee, you are getting a great gardening tool without breaking the bank. The Craftsman Compound Action Bypass Lopper is the perfect tool for all of your pruning and cutting needs. From its durable steel blades that are designed for precise cutting to its lightweight design, this lopper can be used on anything from small bushes to tree branches. This lopper was designed for maximum efficiency in mind. The steel blades are made from high carbon and are also treated with heat to ensure optimal and pristine cutting. The blades also have a special coating on them that helps makes for clean, smooth cuts each and every time. This lopper is equipped with lightweight handles that are made from aluminum, so your hands and arms won’t get tired from lugging around a heavy tool. The handles also have grips on them, so you won’t have to worry about your hands slipping off of the tool. Comparing this to the other loppers on the list, this lopper falls into the average price range. When you look at the overall quality of the product, the lightweight handles with comfort grips and the extra sharp blades, you are definitely getting your money’s worth with this lopper. The ARS 30M Orchard Lopper is the perfect tool if you are looking for something to tackle tough, thick tree branches. Its blades are specially designed to be extra sharp, so you can cut through those thick tree branches with ease. Since this is an orchard lopper, it is specifically designed more for tree branches than anything else, so you know that this tool will stand the test of time. The blades on this lopper are made from high carbon steel and were designed with tough, thick branches in mind. These extra sharp blades will make even the most difficult tasks seem like a walk in the park. The ARS Lopper has handles that are aluminum, making them lightweight but durable. This means that you can make cuts with ease and don’t have to worry about this tool being too heavy or getting sore after the first round of cuts. In comparison to the other loppers on this list, these are a bit on the expensive side. If you consider the carbon steel blades, the quality of the lopper, and the fact that the overall length of this lopper is 24.5”, it is worth every penny you spend. Whether you look forward to springtime clean up or not, it is something that needs to be done every year. Why work harder when you can work smarter by using the proper lopper for your yard work needs. Shopping for that perfect lopper can feel like a daunting task, but if you keep in mind the type of yard work that needs to be done, finding the right lopper should be a breeze. This list was designed to help you navigate through the different types of loppers to help you determine which one best suits your needs.